Kings XI Punjab triumphed in their previous match but still finds themselves at the bottom of the table and will meet the top team, Chennai Super kings, next. Le bhai sabse pahle ab weather prediction se sri Ganesh karenge is match ka. Weather sab clear hai dur dur tak. Baki upar wale ki marzi. I always go with Dhoni for toss but this time I'm going with KXIP to win the toss as it's part of a strategy. I'm also following your toss strategy bhai. It's very easy strategy and no need to sweat over who will win the match. It's settled in seconds and then I can enjoy rest of match without prejudice. Chalo bhai log profit ki bohni ho gayi. KXIP won the toss as predicted. bhai pahli bar follow kiya aapko aur profit. aise hi banwao profit mera loss recover karwa do bhai. bhai trading wali tips dedo. Is match me swing hoga ya nahi? 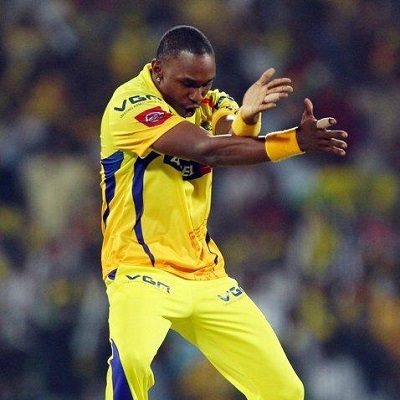 Chennai swing me expert hai. Swing ho sakta hai. Jhula bhi jhul sakte ho. vai abhi abhi ye site join ki bible bhez do plz online betting suru karni hai. D Smith has been quite since he scored 62 in the opening match against DD. Raina has also missed going above 11 in last 3 matches and it's time for him to rise for the occasion. A smashing inning from Dhoni and Bravo is also due. I'll pick Smith, Raina and Dhoni for CSK's top batsmen. Updated: Smith is not playing M Hussey is in for him. Pick M Hussey. Medium and slow bowlers get assistance from this pitch so Anureet Singh & Sandeep Sharma are included in my best bowlers for KXIP. I'll update this prediction after team announcement. Pass hua yeh bhi. S Sharma top reha. aslam bhai ye pakki report hai? pakki report hoti to yahan baith ke jhaak na maar reha hota. Baaki prediction ki ma behen sala match fix tha. Kul mila ke profit hua. Follow karte raho aur maal kamate raho. bhaiyaji kahan gayab ho jaate hain. har matchwa ka prediction diya kariye. hum aapke bahut bade fan hain. gud tip bhai. punjab pehle batting wali strategy bhi de do. KXIP is batting first, follow this strategy. chalo bhai log ban gaya profit. Toss aur trading double profit. Massive profit bhai I kept laying kxip all the way till Miller came then I stopped and just waited to see my profit building up while kxip crumbled under pressure. Didn't make move even after csk lost 2 quick wickets. Run a ball is always too easy to chase. Bilkul nishane par hai strategy. CSK is IPL me locha kar rahi hai consistency nahi aa pa rahi hai. Na to khud score karti na dusare team ko karne deti hai to trading ki waat laga di hai csk ne. Safe khelna hoga. yajman strategy sahi hai lekin itne saare market me ghusne ki fursat kahan hai public ko. Haan Pandit Ji, jisko Jo market pasand hain woh khelega. Mainly Online punters keliye Pandit Ji. Mein match pe kam khelta hoon. Agar Mein toss aur sidebets pe first innings Mein pesa kamaya tab second innings Mein match Mein guss tha hoon. Agar loss gaya second innings Mein 50 percent limit se match khelta hoon. I worked for me so far. No necessarily for everyone . Great tip Vikram bhai. Can't express my gratitude that how thankful I'm to this website which provides such great tips and insights into every match. I've been silent reader of all the predictions provided by every one including Munna Bhai, you, Pandit and others. Since I joined this website I've recovered all my losses and now I'm in full profit. I hope that at the end of this IPL season I'll have 10 peti solid profit. One more profitable season like this one and I'm quitting my job to become full time punter. Good work Mamu, please create section for Nat West T20 Blast tournament. u lucky bro. I just recovered all losses thanks to Munna Bhai's great strategies. I hope one day I'll also make it to 10 peti club. gud tips bhai aise hi dete raho tips har match me. m following u.
local bookies csk ko fav le rahe hain lagta hai ki match fix hai. public csk ke upar lagayegi aur match palti maar ke punjab jeetegi buki ka profit hoga public ke L lag jayenge. Aur agar csk jeet gayi to bookies ki G me danda. Joker ki guarantee hai Fench open ke liye solid practice hogi. Simona darling looking good. Roger ka bharosa nahi retire ho jana chahiye isko ab. kon jitega ye match bhai koi to confirm karo. Kyong lag gayi? KXIP bats first wali tips follow karte to profit me aa jate ab tak. Ulta pulta kiya hoga?